Many customer service jobs are found in retail businesses. Retail stores rely on their employees to provide a high level of customer care at every level. Cashiers, salespeople, management and billing departments are examples of customer service jobs in a retail setting. 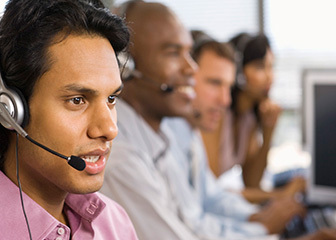 The hospitality industry is similarly reliant on customer service employees to maintain their reputation. Restaurants and hotels are staffed largely by employees in the service of providing the most satisfying experience to their clients. Restaurants hire cashiers, hosts, and managers in a customer service capacity. Hotels and resorts hire for a wide variety of customer service positions, including bellman, concierge, front desk associate and front desk manager. Customer service jobs can be found in many other types of businesses as well, including insurance companies and medical offices. Administrative assistants, receptionists, client relations personnel, benefits coordinators, and medical receptionists are all essential to providing information and services to clients, customers and patients. Another category of customer service jobs is technical support. These jobs may require more specialized education and/or on the job training.